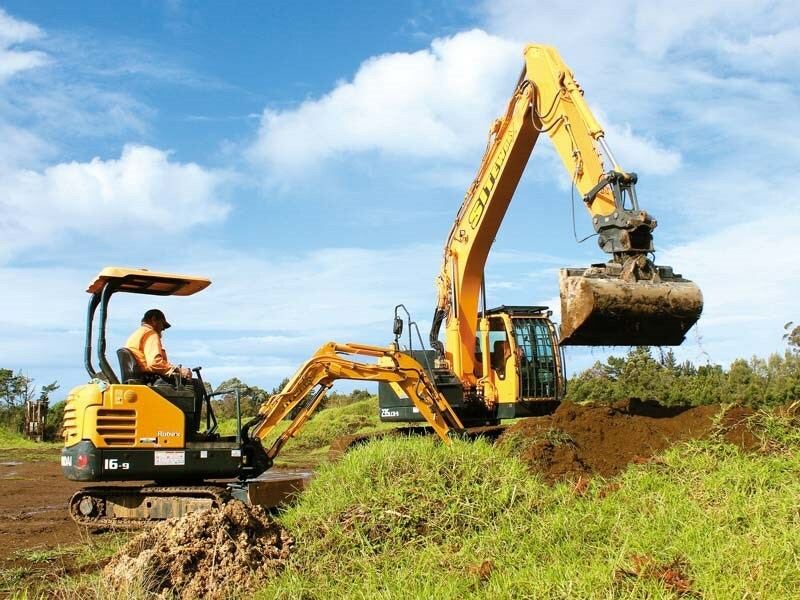 Busy Kerikeri contracting firm Siteworx Northland has all its bases covered with two very differently scaled Hyundai excavators covering all aspects of work in the winterless north. Siteworx Northland founder Sean McCaughan has been based in Kerikeri for 15 years now, following time spent working in the Auckland region. 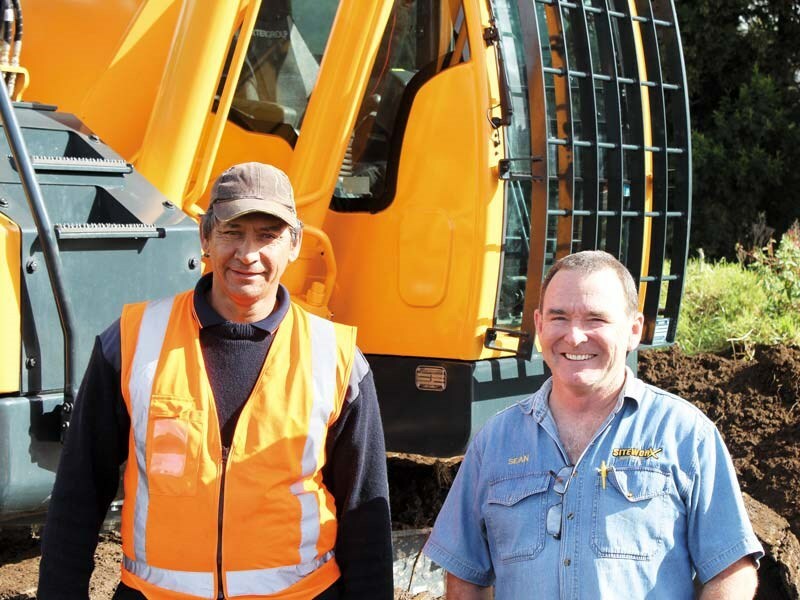 A mix of business opportunity and lifestyle change drove he and his family’s decision to move to Northland, which puts him in a good position to identify key differences between earthworks contracting in the Far North and back in the big smoke. "I’d say the main difference is that, up here, you have to be a lot more versatile, especially when it comes to your mobile plant," he says. "You need to have a much more adaptable fleet and be prepared to have a larger variety of machines to potentially do a smaller number of jobs. We have a lot of specialised gear and attachments which might sit for longer periods, but in my experience when a specialised job comes in it’s great to know we can grab it and go. "In this part of the world, relying on hire gear can be a lottery, so it makes sense to have an adaptable fleet." The family firm (Sean’s sons Mike and Brady are both in management positions within the company) complete work throughout Northland for a variety of clients, but enjoy a solid local reputation. Through experience they’ve learnt that needing to work anywhere beyond a 45-minute commute from the depot becomes a much less cost-effective exercise. The need to have machinery which can act as a catch-all also influenced Sean’s decision to upgrade an older Hyundai R140LC-9 with a new Hyundai R235LCR-9. He has been a Hyundai owner since buying an even older machine off a contractor some years back. "We won the contract to do all of Top Energy’s earthworks and the outgoing contractor sold us his Hyundai R140LC-9. It made sense to us as we hadn’t operated within some aspects of the work before, so rather than tool up separately with all new gear we purchased his machine, which already had all the required attachments fitted to it. "We had that machine for around six months and, what with it getting up there in terms of hours, we decided to trade it in on a brand new version of exactly the same model through Porter Equipment. That was a straightforward process and the second 14-tonner worked well for us too." 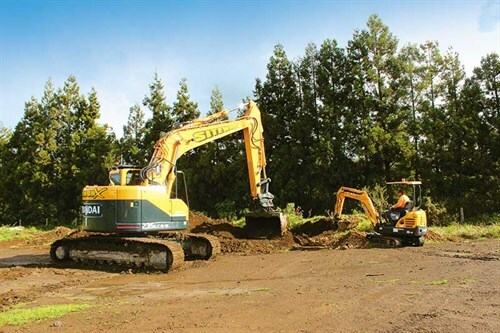 Fast-forward a couple of years and, says Sean, the extra capacity presented by a larger 20-tonne machine the company had hired in for a particular project gave rise to the idea of something similar for Siteworx Northland’s frontline fleet. 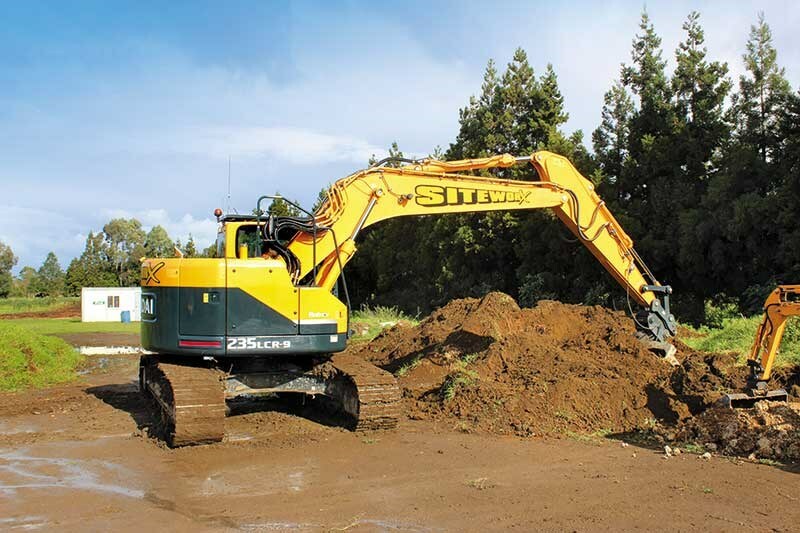 At the same time though, Sean was conscious of going too big with the new machine for the company’s needs; both in terms of the scale of Siteworx Northland’s typical local contracts and the logistics involved in transporting the excavator. The clever compromise was the Hyundai R235LCR-9 in ‘zero swing’ format. "It’s a very versatile machine because it has the grunt of a large excavator, but its ‘zero swing’ body means we can get it onto more confined job sites, or have it working alongside highways if we’re doing work for the Far North District Council. "I’m happy we’ve stepped up our capability in terms of a good machine that gives us the ability we need on a variety of job sites; I would rather have a larger machine working at 70 percent of its capacity than a smaller machine continually working its guts out at 99 percent." At the opposite end of the scale in terms of the Hyundai machine range is Siteworx Northland’s other excavator; a diminutive but no-less-useful Hyundai R16-9 mini excavator. "Our little 1.6-tonner isn’t what you’d call a frontline machine and, unlike most of our other gear, it doesn’t have a dedicated operator," Sean continues. "But it’s a bit like a wheelbarrow; you might not need it all the time, but when you do it’s the only machine for the job. When we’re doing a GJ Gardener floor or trench work on a confined site in town, the little 1.6-tonner comes into its own. 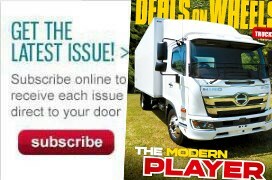 "We can stick it on a trailer and shift it between job sites quickly too, so that adds to its versatility." Sean says that Porter Equipment made the process of buying the Hyundai R235LCR-9 so simple that when the need for a small excavator was identified, purchasing the Hyundai R16-9 through them was a no-brainer. "They’re fantastic to deal with; great communicators and good at coming up with purchase plans that work for us too. "We’re up in Northland, but technology is a great leveller; my guys can get the help they need – or even just the answer to a question – from Porter Equipment on the phone, so we don’t feel like we’re working in isolation in that regard." Sean also says he liked the fact the Hyundai R235LCR-9 arrived fit-for-purpose straight out of the box and fits within the limitations of the company’s low-loader transport trailer. "We like to have newer machinery on the fleet for obvious reasons and we like to be prepared for any task that comes our way; Hyundai machinery backed up by Porter Equipment’s service means we can go about our daily business wherever it takes us."